Tony Jaa burst onto the scene a few years ago with the fabulous Ong Bak and went on to star in another big hit Tom Yum Goong (aka The Protector / Warrior King). Now many years later he comes back after a semi-retirement with the sequel Tom Yum Goong 2. Kham’s sacred elephant Khon has been stolen. Only this time, the poachers are working for a nefarious underground organisation planning to blackmail Kham into assassinating the President of Katana and facilitate a military coup. Framed for murder, Kham goes on the run, but with help from his alleged victim’s daughter, Ping Ping (Jeeja Yanin) and bumbling cop Sgt Mark (Petchtai Wongkamlao), he must evade Interpol, thwart LC’s plan and rescue his beloved elephant. This was one of the films i was most looking forward to in 2014 and sadly it disappoints in so many ways. Firstly the plot. While the story is not as important in these type of films at least they could try a little bit and get a decent script. Did they steal his Elephant yet again? The plot makes little sense and just leads from one action scene to another. The acting is sub-par, why can’t they hire at least some western actors who can actually act?. The English dialogue is stilted and as for Rza, he is awful, why he was brought into this is anybody’s guess. What about the action? Well even that is repetitive and a lot of the fight scenes are shot and edited so you cant see at times what is happening, the overuse of CGI is striking and its bad CGI at that. Tony Jaa certainly still has the skills but after a while, a knee strike is a knee strike and an elbow an elbow and there a very few wow moments, unlike the first film. Character development is zero so you really don’t care about any of them (well maybe the elephant!). Writer/director Prachya Pinkaew should certainly shoulder a lot of the blame. While Tom Yum Goong 1 was lacking in story etc at least it made up for it in the great action scenes, in this film you don’t even have that apart from Jaa’s first encounter with Maurice Crump who is the only person to come out of this film with some credit and he does show great potential. Jeeja Yanin is wasted, she has a couple of fight scenes but nothing special. 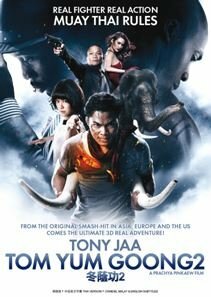 One can only hope that Tony Jaa’s next few films are better otherwise I think his time has well and truly gone. 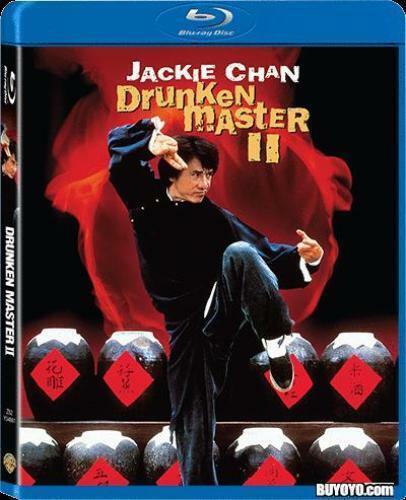 Released in the UK as Warrior King 2 and the USA as Protector 2.